We all can’t be perfect. We strive for perfection, but something usually slaps us back to reality! We all make mistakes and it is time to own up to them. Sometimes they are small mistakes, like spelling a word wrong in a term paper, and sometimes they are big mistakes, like a company selling a wireless HDMI cable that is made of wire. Check out these 20 photos of people that totally missed the point and you’ll feel better about the mistakes you may have made! 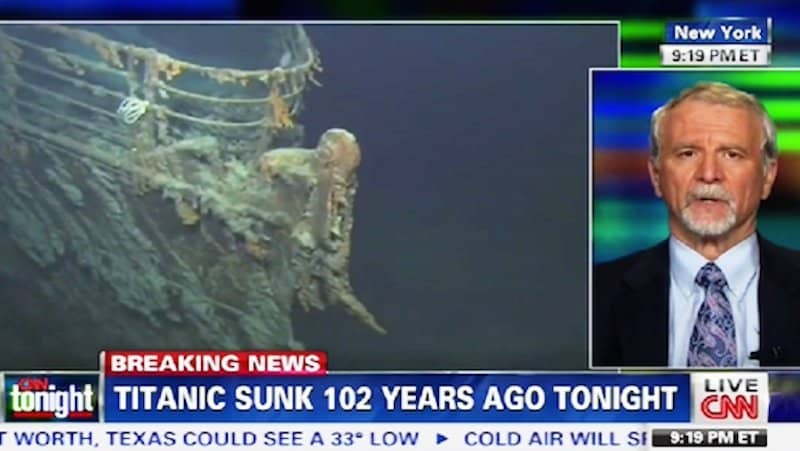 It looks like they might need some new employees at CNN, especially when they consider the Titanic sinking 102 years ago breaking news! It is a story and an anniversary, but not breaking news. You need to cut an onion, but can’t find your cutting board. 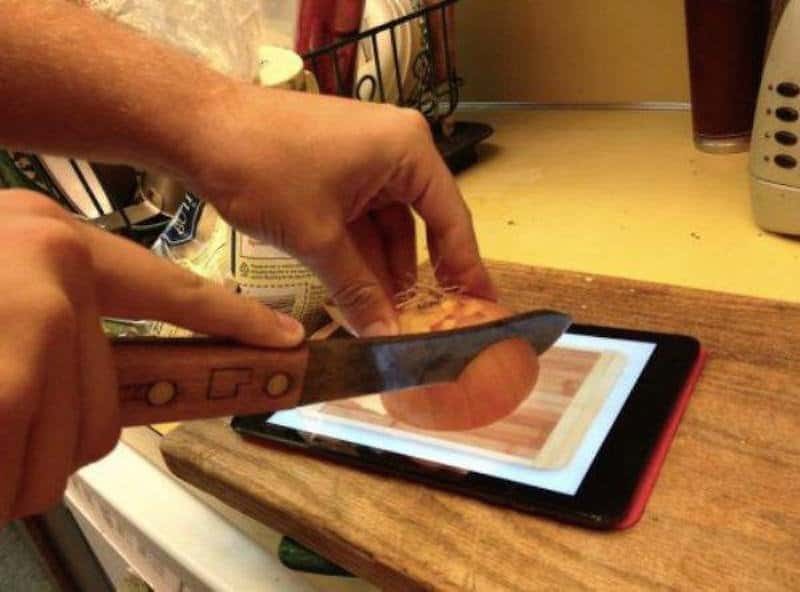 Nothing better than a cutting board app on your tablet to solve the problem! We definitely hope they didn’t actually finish cutting that onion. 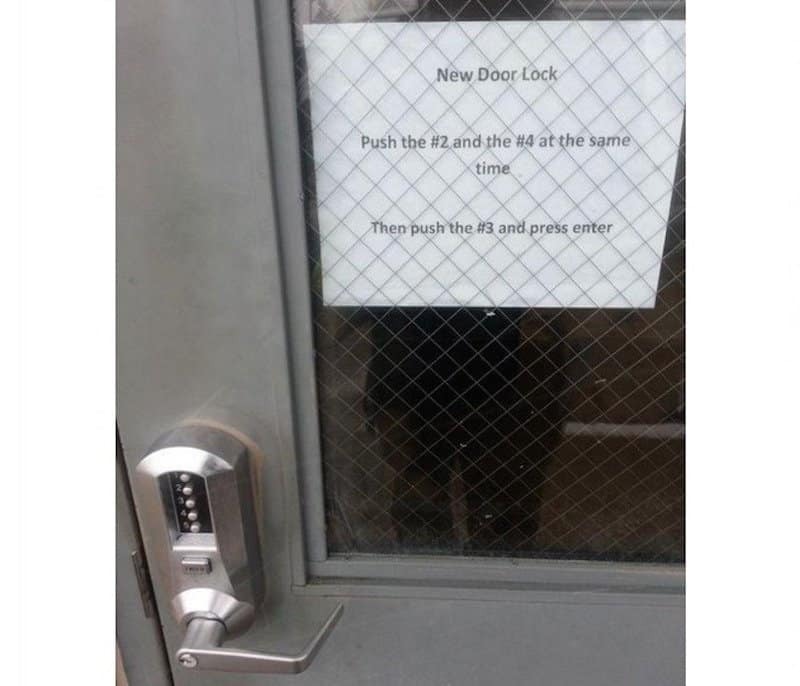 We always thought locks on doors were to keep people out, but it looks like we were wrong! This place got a new door lock and then proceeded to post a note with the combination to get in, which kind of defeats the purpose of the lock. 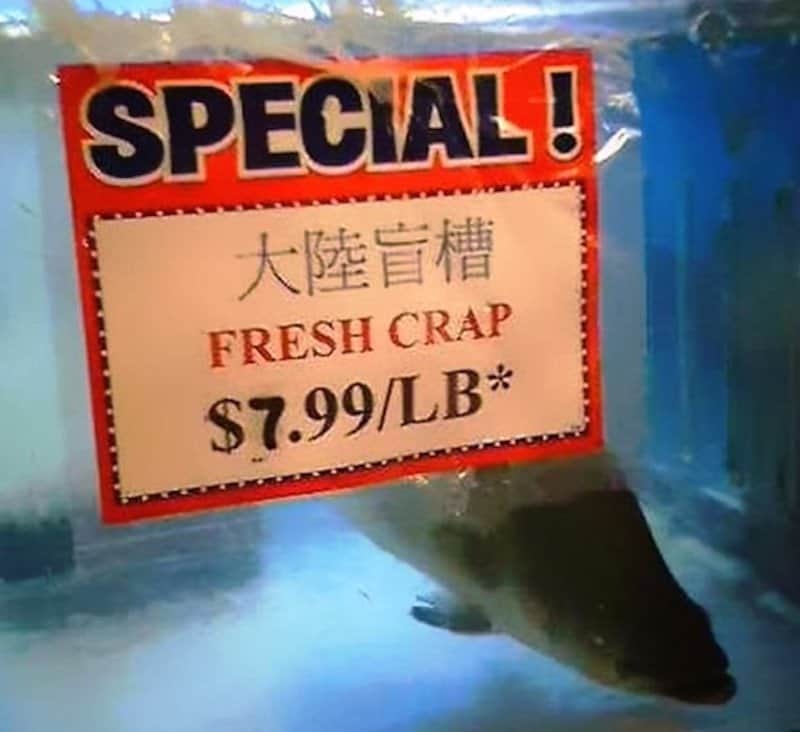 We can’t read what is actually written, but doubt that it actually says fresh crap! Maybe carp, but not crap. Do you think they actually sold any crap that day? 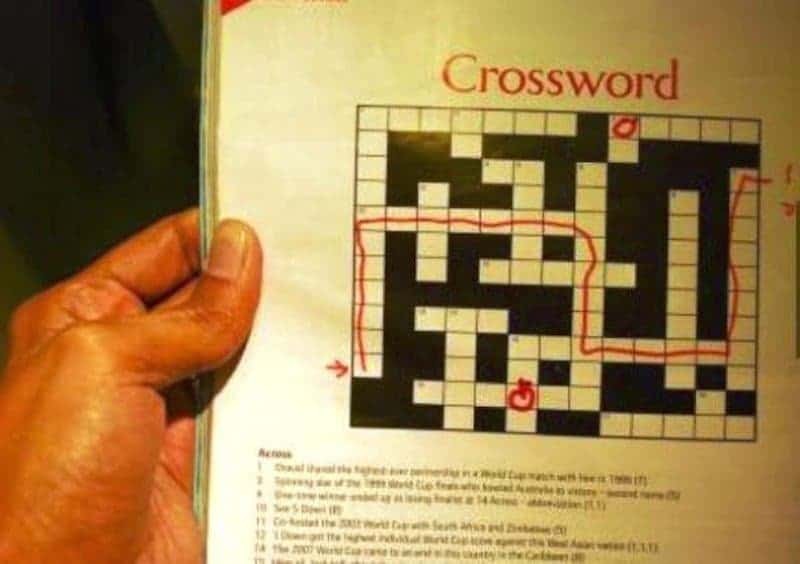 We have done plenty of crossword puzzles over the years, but never this way. This makes it a whole lot easier, but we think you are supposed to put letters in the squares and not find your way through like a maze! Everyone is taking selfies nowadays, especially since they now have a Selfie Stick to make it even easier! 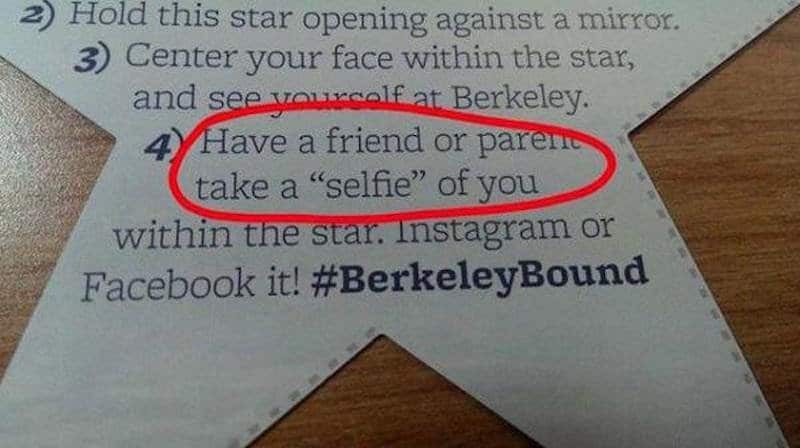 However, you take a selfie of yourself. If someone is taking a selfie of you, that is just a photo! We can fully support this kind of treadmill! 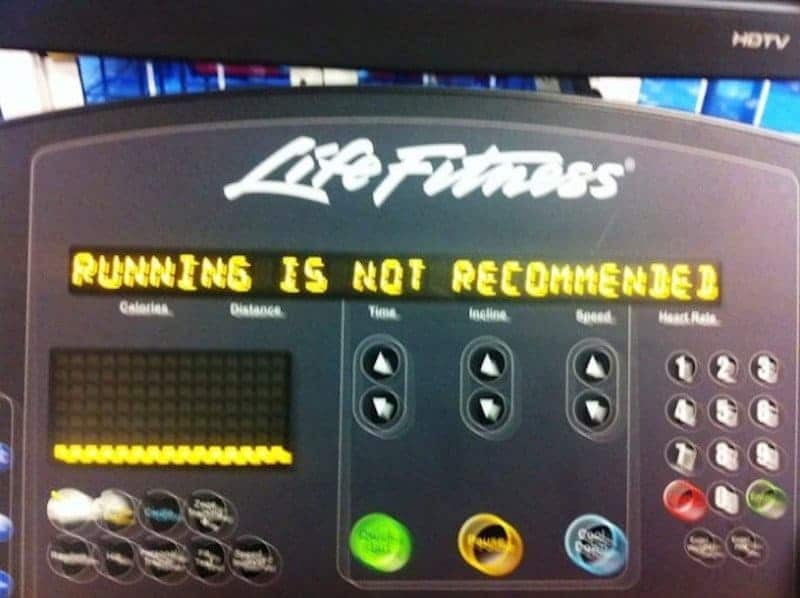 It is telling you not to run on it, so we will listen to its recommendations. 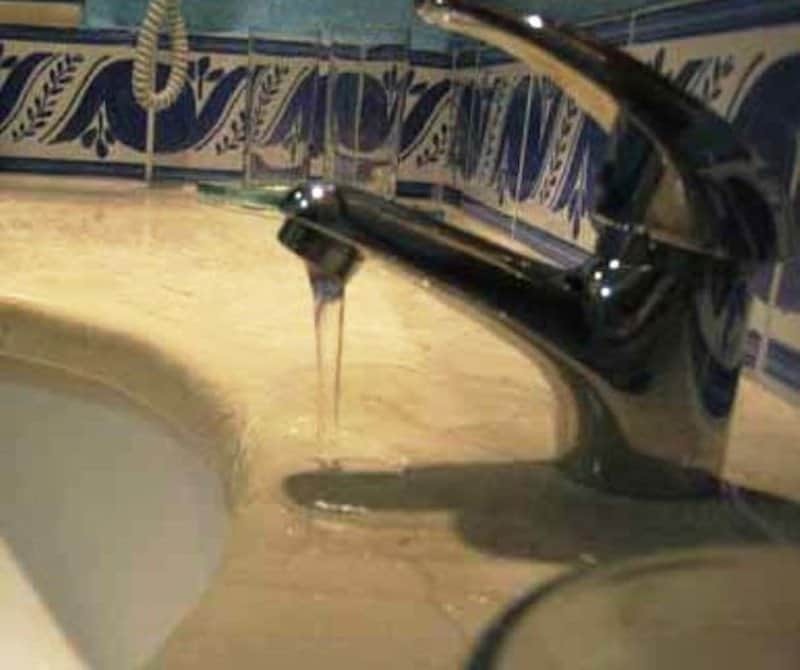 It looks like a nice faucet and countertop for this bathroom, but it also looks like the plumber may not have measured properly when installing it. That water should be going in the sink and not on the counter! 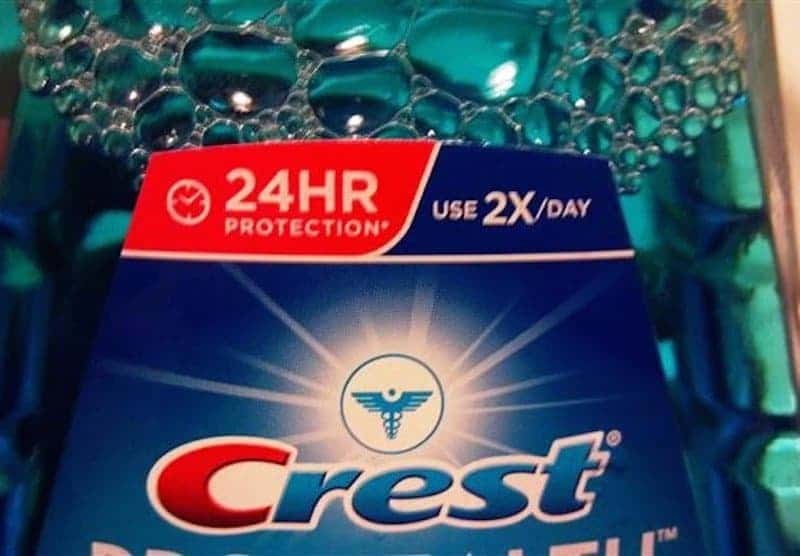 This mouthwash says it gives you 24 hour protection, which is a good thing. However, you have to use it two times a day? So, wouldn’t that be 12 hour protection then? 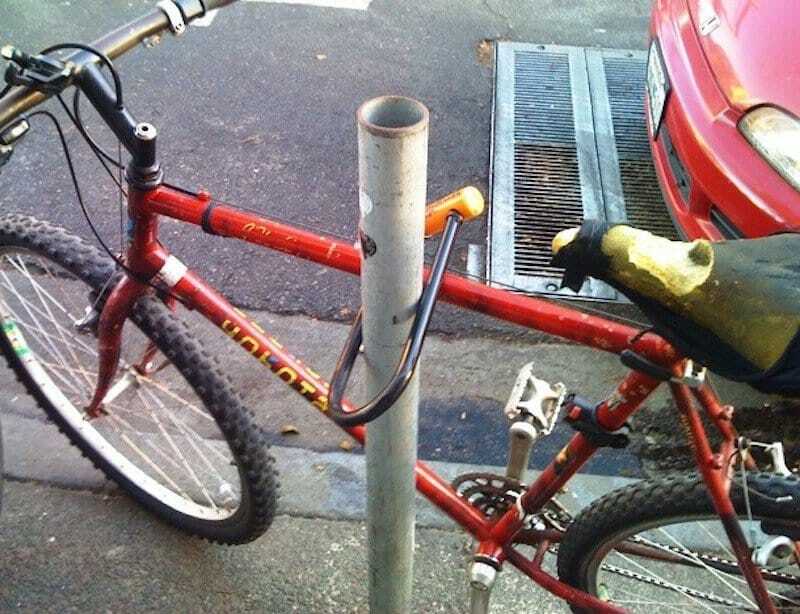 This person tried to be safe and lock up their bike when they weren’t using it. It was a good idea, until the pole they put the lock on had no top to it and anyone could come up and slide the lock right off! 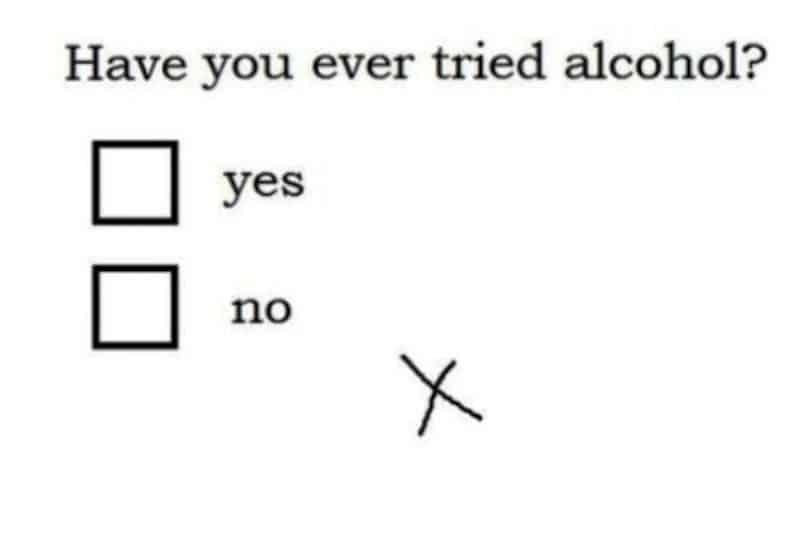 Is it possible that the person taking this test was actually drunk at the time? We think their response gives us the answer to that question, as they missed both boxes completely! 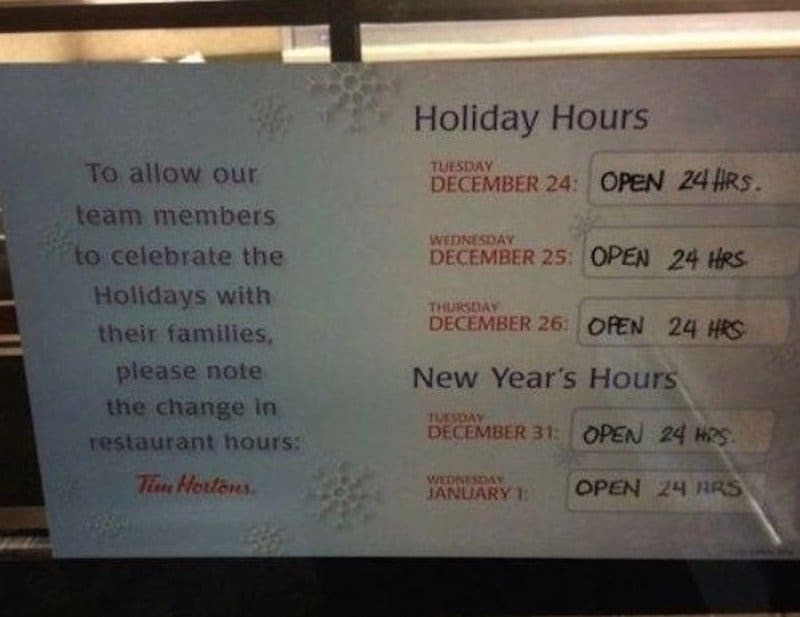 Tim Horton’s doesn’t quite get it, as they are allowing their team members time to celebrate with their families for the holidays, which is a very nice thing. However, they are open 24 hours on every holiday! Is the sign even needed then? 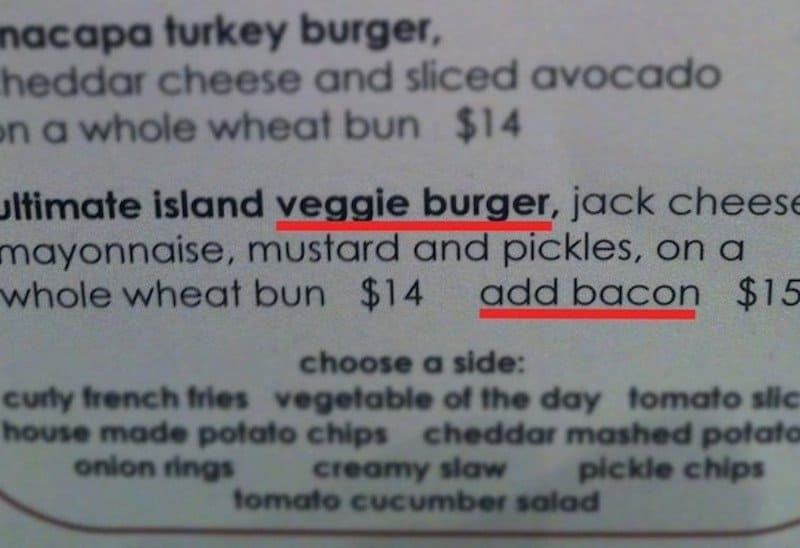 This restaurant got it all wrong, as they are offering a veggie burger option, which is always a nice option to have on the menu. However, you can add bacon to it for an extra charge. Doesn’t that defeat the purpose? 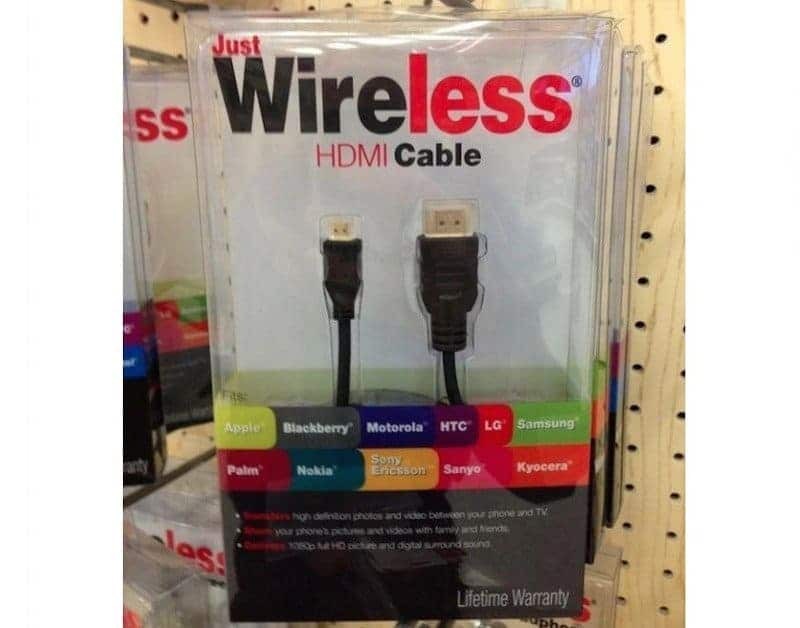 This company is offering a wireless HDMI cable, but the packaging seems to show wiring! Maybe they meant less wiring than before, but it’s definitely not wireless. 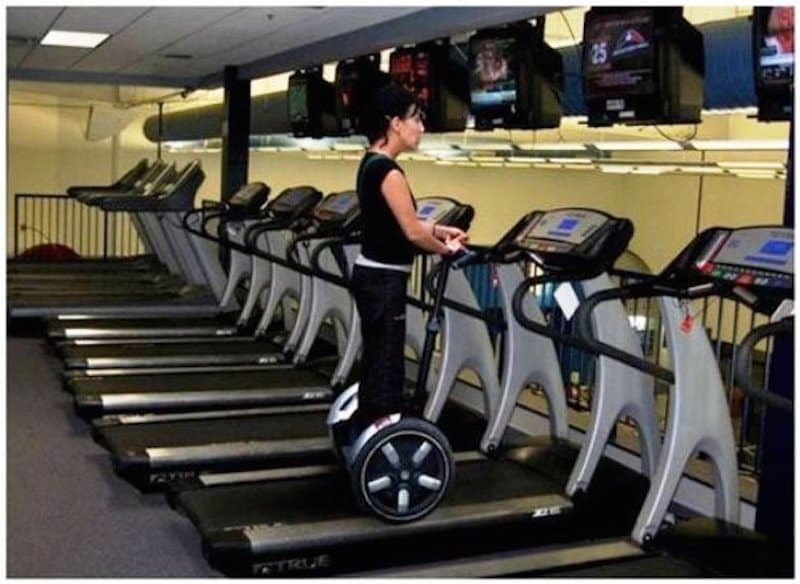 To burn absolutely zero calories, you could hop on a segway and then get on a treadmill. It does take the fun out of running, but we like her thinking. 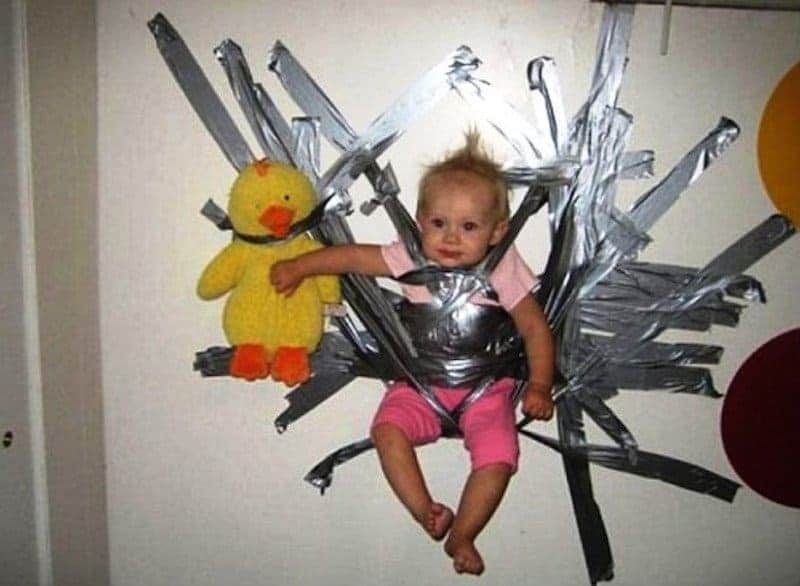 We want to know what this baby did to deserve getting duct taped to the wall. She doesn’t seem too fazed by it and she has her stuffed duck with her to keep her company! 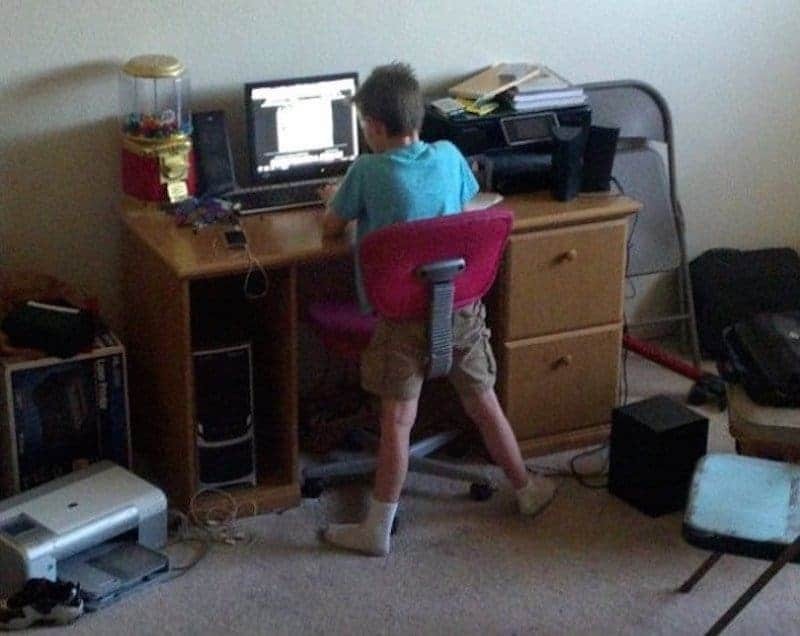 This kid got into his game so much that he forgot to even sit down in the chair before playing. Does he really even need the chair there? 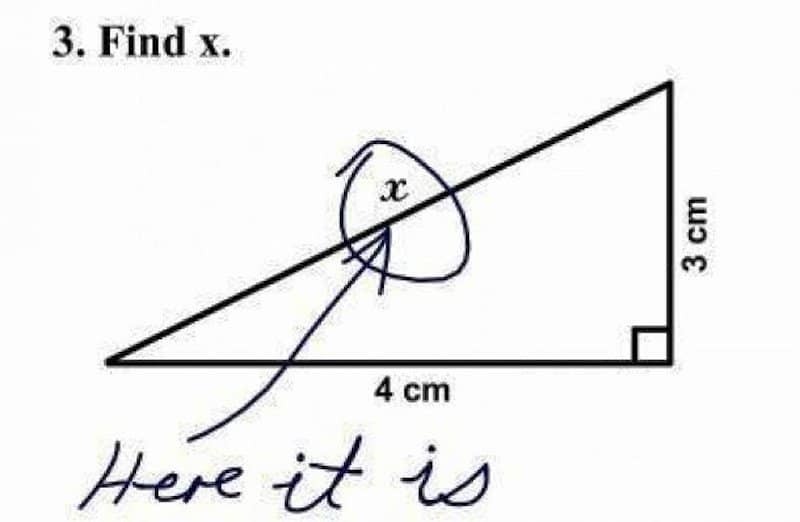 The math problem states to find x and that is exactly what this person did. As clever as it might be, we don’t think he got the full points for that response. A barrier in a parking lot is usually there to stop incoming and outgoing traffic. 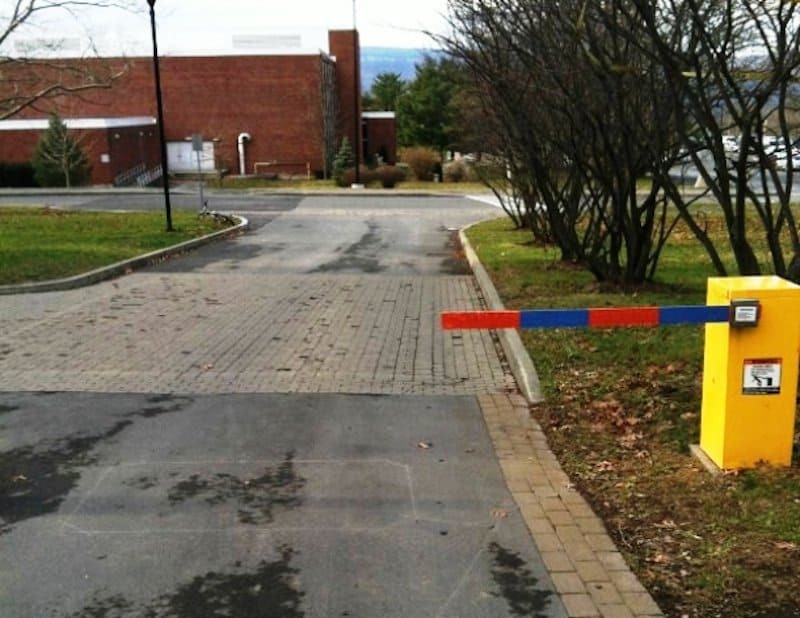 However, that barrier looks a little too short and everyone will just drive around it! We remember our days in college and reading our textbooks and highlighting the important information. 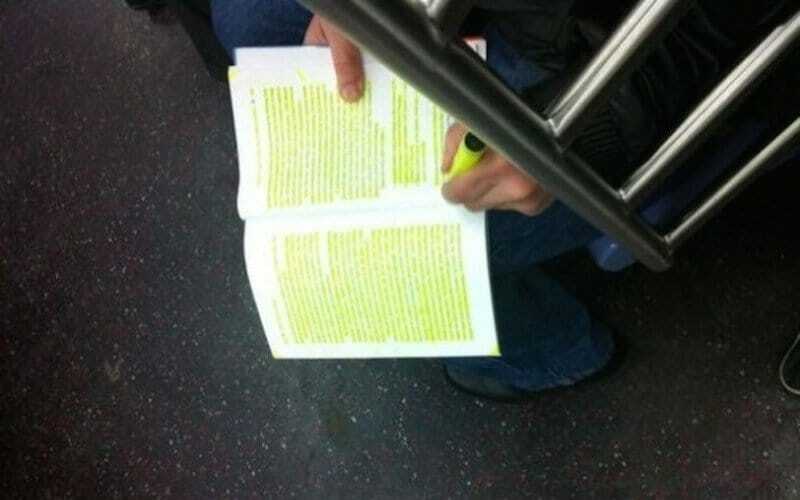 This book must be super intense though, as the person is highlighting every word in it!